National Kids and Pets Day is celebrated on April 26 every year to recognize the special bond between children and pets. As veterinarians, technicians, and administrators working in the veterinary industry, we’ve all experienced the love of a pet. In fact, it’s probably safe to say that all of our PetCure Oncology veterinarians have had a love for animals since childhood. Their compassion for animals and desire to care for them only grew stronger as they got older—eventually leading to careers as veterinarians. The human-animal bond is deep and precious, but there is almost something magical about the bond between a child and their pet. If you’ve grown up with a pet, you know that your childhood pet—your first pet—is one that holds a special place in your heart. 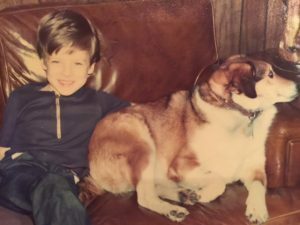 PetCure Oncology Chief Executive Officer Scott Milligan came across an old photo of him and his childhood dog, Tippy. The photograph brought back many memories of the times they shared together. Pets teach kids to be gentle. Teaching children to be gentle with animals and approach them with care is a great lesson to reinforce regularly. Your dog may be gentle, but it doesn’t appreciate having its tail pulled. And some are fearful of strangers. 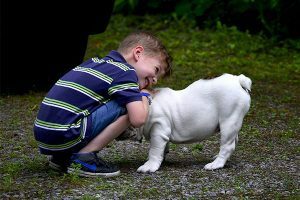 It’s important to teach children to be gentle when touching animals, as not every animal is going to react the way your pet at home does. Pets are a lot of work, so naturally, owning a pet creates opportunities to teach your older kids about responsibility. Having children take care of a being besides themselves is a great life lesson. Depending on the child’s age, you may want to delegate certain tasks as their responsibility. Start with something like making sure the water bowl is filled with clean water, daily brushing of the pet’s coat, or even playing fetch in the backyard. Pets teach kids about personal space, boundaries, and respect. One important lesson that every child learns is to respect the personal space and boundaries of others. As we grow, we will learn to share and respect siblings, playmates, and classmates. Having a pet helps children learn this at a young age. They come to understand that just as they don’t like to be climbed over and have their toys taken from them, neither does the cat or dog in the house. A pet’s body should be treated with respect and gentleness. 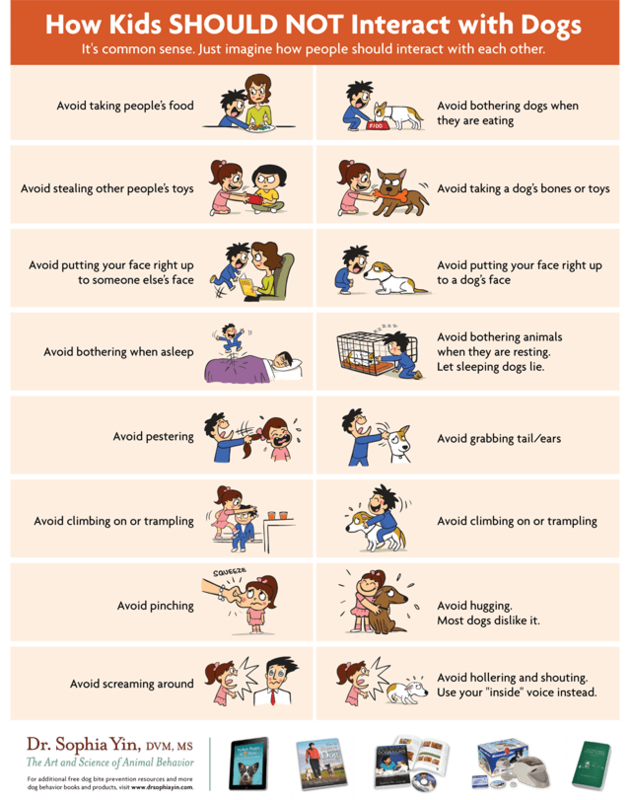 Not only can children benefit from this concept as they enter new social situations with other people, it’s also extremely important to keep them safe from the pet. All dogs, no matter how well-trained, have the instinct to growl or bite when they feel like their body or belongings are being threatened. 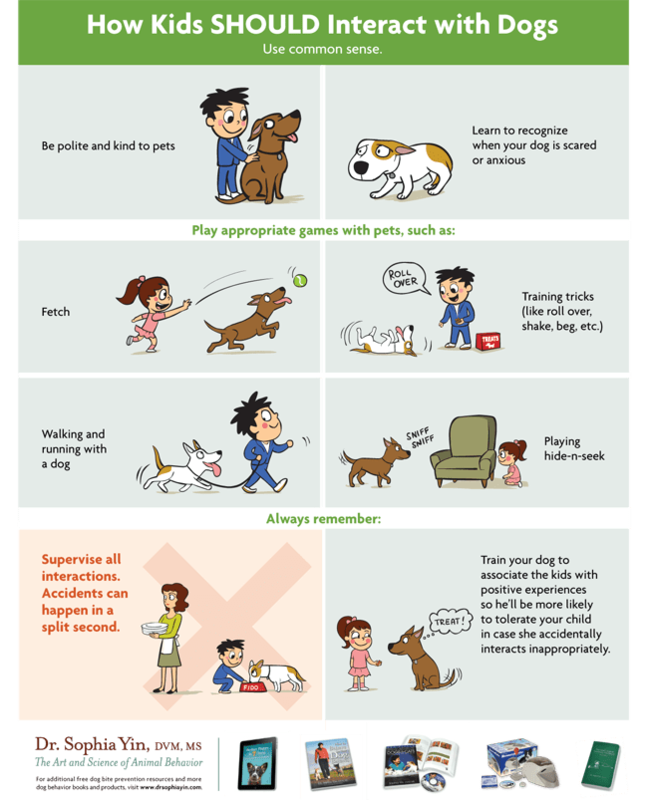 Establishing rules for your child, such as no touching when the pet is eating or playing with their toy, can be a helpful way to convey this lesson. Pets have emotional, social, and mental health benefits for children. Pets have a wonderful way of just being there when we need them. In many ways, children learn to lean on their pet for comfort and healing. Pets, with their unconditional love and loyalty, become a presence of comfort, healing, and joy to children. This is especially true for children who struggle with finding an outlet for their emotions, such as those with challenges communicating or autism. Pets instill kids with compassion and love for animals and others. Perhaps the most important thing pets teach children is to have compassion for animals and people around them. As they learn to care for their pet, they pick up on nonverbal cues. “Is my dog hungry? Does he need to go outside?” As they ask these questions they are learning empathy and about how others feel. If you had a pet growing up, what is your fondest memory? If you have a household with children and pets, how is their relationship? What benefits do you see? What tips do you have to keep your child safe?